Since the beginning of the 21st century, the revenue of consumer electronics has risen year-on-year. Revenue for this year is expected to reach US $337,754 million, rising to $454 492 by the end of 2023 (Statista). If you're selling electronic devices, bundles or accessories online, you're already part of this rising trend. Yet have you considered the use of a feed management tool in helping you to manage your multi-channel strategy? Looking to online sources has begun a regular behavior for many consumers worldwide, particularly when it comes to comparing and purchasing electronic devices. Therefore, a strong online presence and solid multi-channel strategy has become necessary for electronics retailers to carry on competing in the industry. In this article we'll look at how and why more and more electronic e-commerce businesses are realizing the time and money saving solutions that feed management tools provide. When you are selling thousands of electronics products from your online store, factors like price changes, stock levels and new products can change all the time. Once you start selling on multiple channels like Amazon, Facebook, Google ads and Pricerunner, the advantage of a feed management tool becomes apparent. From here you can automate the whole import and export process of your different data feeds. As well as this, scheduling regular updates multiple times per day means that these new stock levels and price changes can be consistent across all your online sales channels. Online marketplaces, price comparison websites, search engines and social media platforms all give you access to a new and engaged audience. There are hundreds of channels you can access, and you want to spend as little time and money as possible in managing your feeds for each channel and ensuring they meet requirements of each. Using a feed management tool will make sure the content in your ads is always going to be approved by the channel of your choice, and of a high-quality. Individual specifications of your products are vital to be displaying in your product information. This is especially true in the electronics industry where the type, manufacturer and compatibility of products will be major factors in leading to a purchase. This kind of product information should be added to your products titles or descriptions to ensure your audience are getting the right information. With WakeupData it's easy to get hold of this information for specific products - even if you don't have access to that data in your feed we can crawl your online store for this info. 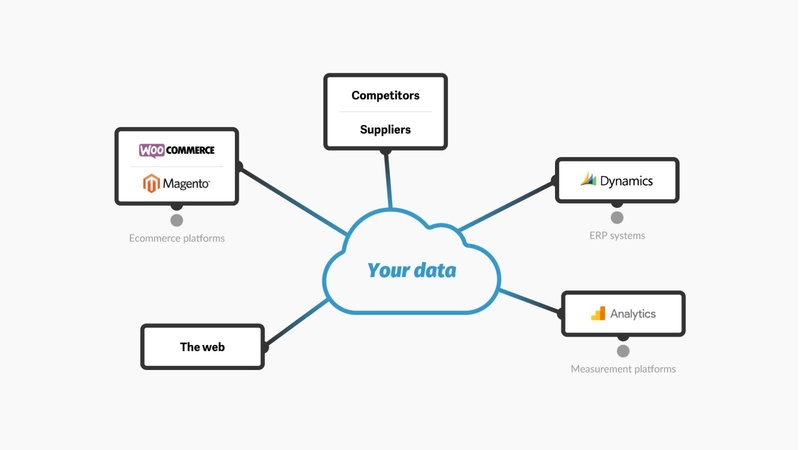 There is no need to spend hours manually copying and pasting individual product information into the marketplace’s ad creator, WakeupData will collate all the data into a high quality feed and export all your products instantly to the channel. The features offered by some feed marketing tools also let you monitor your competitors to get an insight into their pricing and sales strategies and stay ahead of market trends. Say you want to know how much your top 4 competitors are selling a certain brand of phone for. You could crawl their sites to find this info at source, and adjust your pricing accordingly. Simultaneously, you could see when they are running out of stock of certain products and push your in-stock items to the same audience. The possibilities from our Business Intelligence solutions are endless. Forthcoming feature releases in 2019 will allow WakeupData users to discover which items are your top sellers for each channel by connecting your Analytics account with the plafform. You can then use these product insights to choose which items you want to push and which you want to bid less for. Find out more about our feed management platform, talk to one of our dedicated custom success team who can help you on the road to success or get your free 14-day trial below.